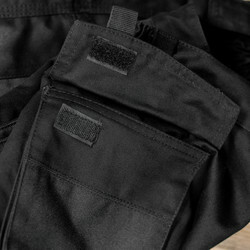 Endurance Tradesman Trousers 34" R Black is rated 4.4 out of 5 by 77. Rated 2 out of 5 by Semntex from Fairly poor quality After a week of use the crotch split on these trousers, the stitching is very weak. They are very long in the leg too, I usually wear a regular but with these I should have gone small. Lots of pockets and space for tools and easy to fit knee pad slots. Rated 5 out of 5 by Old Grandad 189 from All one need to work in today,s work in trade Just the job for me. working in wood. Stripping and repairing pallets. Stripping fences panel down to save good wood. Hard wearing. holds the tools i need for the job. Feel great against my legs. No ache or pain in legs for me. Rated 5 out of 5 by North1 from Great value Look to be well made and have very deep pockets, enough to hold a number of tools. Comfortable to wear and fit well, have been wearing for a week and even good for dog walking! 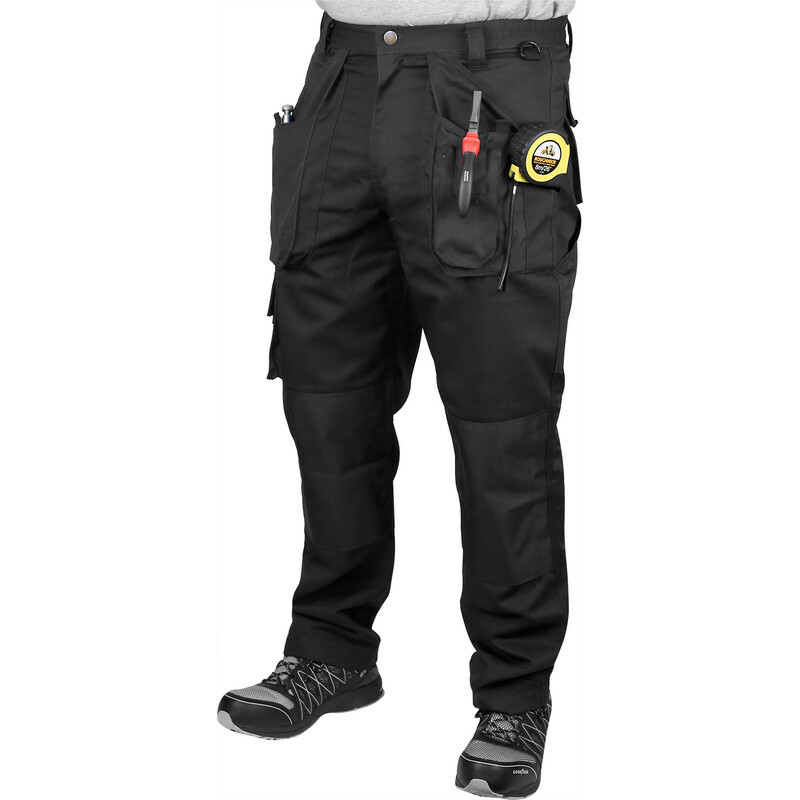 Rated 5 out of 5 by Glenn the chimney sweep from Great Work Trousers Bought one pair to try them out and found them really worth the money. I have now bought 4 more pairs. Rated 5 out of 5 by Robbopole from Better late than never The title has nothing to do with delivery time, that was spot on. 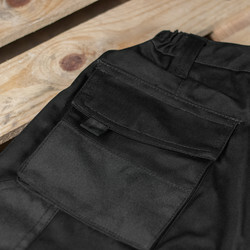 I'm an experienced DIYer, have more tools than a toolbox in Tooltown but have never thought about buying myself a pair of trousers for "work". They're for proper workers I imagined, how daft is that? 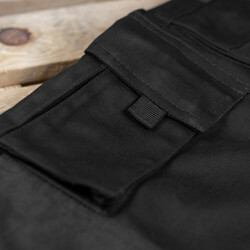 I should have bought a pair years ago, these trousers are perfect. There's always the worry (isn't there?) 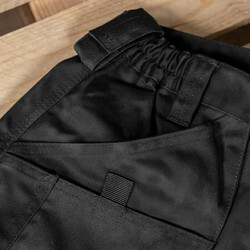 that they won't fit....too tight, too loose, but these boys are a perfect fit, helped by the fact that the waistband has some elasticated expansion. 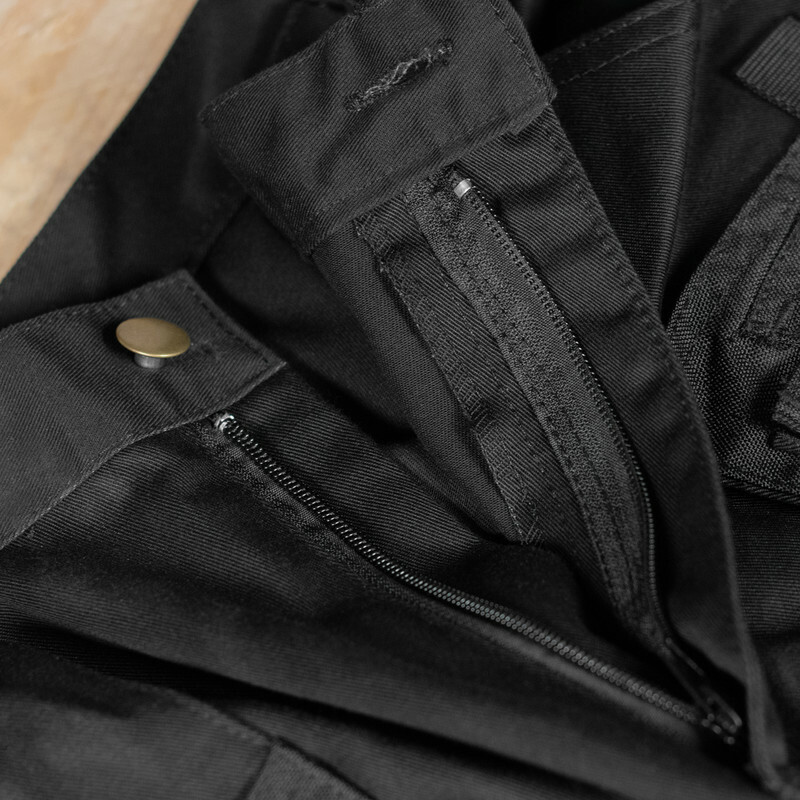 I'm a 32 waist, bought the 32 inch waist, and it's a perfect fit I'm very happy, you can't go wrong at this price.